Are you trying to bring more visitors to your website? Regardless of your answer, one of the tried and true methods for consistently gaining traffic is by developing an email list. This list comprises of people who have shown interest in the content you produce, or the products or services you sell. Even if you only have ten followers on the list it gives you a chance to send out emails whenever new content is published. The biggest bloggers and companies in the world manage large email lists, and all of them will tell you that email marketing is one of the more effective and personal ways to get people back to your site. For example, an eCommerce store can send out emails when news products are launched, while a gardening blog can construct weekly newsletters with links to fun articles online and whatever new videos, articles or graphics are published on that blog. It truly doesn’t matter how many emails you have on your list. The important part is getting started now. Who knows? One year from now you could be looking at a list with a few hundred or thousand subscribers. What Are the Primary Benefits of Building an Email List? Since so many websites are built using the WordPress system, it’s no wonder that dozens of companies have constructed list building plugins for WordPress. 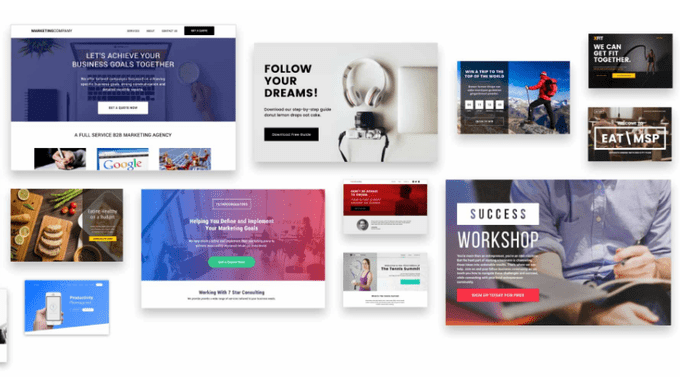 Some of the plugins have simple popup modules with call to actions, while others are full suites of tools, with slide-ins, popups, header bars and even some email creation tools built right in. You own the list – No one can take that away from you. Although it seems unlikely, Facebook and Twitter could disappear next year. However, your email contacts are always by your side. You have authority – Since people have to give you permission to send them emails, they already see you as credible. An email from you is not just a random ad they see on Google or Facebook. Target marketing is easier – The users on your list have shown interest, and you can break down the subscribers into smaller segments. 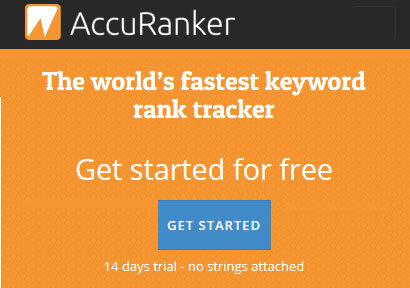 Tracking is reliable – Most email newsletter tools like MailChimp tell you how many opens and clicks have occurred. Exposure – Most people are bound to at least glance at the title of your email, or the content inside. Even if they scan through the content it puts your brand in their mind. Low cost – All of the plugins below are relatively inexpensive, and a newsletter creation tool is affordable as well. Now that you have a better idea as to what you can gain from a quality email list, keep reading to learn more about the best email list building plugins for WordPress. When Thrive Leads was introduced to the public, it made quite the impression. First of all, it improved on some of the many design flows you find with other plugins. You don’t need any technical skills to construct some of the list building elements, and quite a few templates are offered for getting up and running in a short period of time. You can design and deploy all of the elements from the convenience of your WordPress dashboard, and the advanced targeting settings allow for reaching out to customers based on categories, tags and posts. The A/B testing engine is a crucial part of finding exactly which of the email collection tools are working for your business. For example, you could see if a simple button color change improves your conversion rates. The reports and insights are some of the best we’ve seen, while you can select from a wide variety of email list building tools like popup lightboxes, sticky ribbons, inline forms, 2-step optin forms, slide-ins and optin widgets. The drag and drop editor requires no coding knowledge, and everything you create in the Thrive Leads system is completely responsive for mobile devices. To learn more read our Thrive Leads review. Consider the WP Subscribe Pro plugin if you’re looking to save a little money, but also maintain beautifully designed subscription forms. The attractive designs bring in higher conversion rates, and the unlimited colors are great for branding your site along the way. We like the popup subscribe box, but the popup triggers and animations are rather impressive as well. Cookie expiration and flushing is a standout feature, since you can clean out the tracking used to prevent some popups from targeting certain customers. Although the entire design process is simple, the WP Subscribe Pro plugin includes a beautiful area for custom coding with HTML. Not to mention, the shortcodes are there to get your forms scattered throughout your website within minutes. Optin Monster offers style and simplicity, and it’s our first choice for those who consider themselves to be beginners in the development world. The drag and drop editor works to get your forms designed within minutes, and you have the opportunity to convert abandoning visitors with quick popups. Segment your customers with personalization for behavior, and use well-timed popups to grab emails. A/B testing is included with the package, and the results you receive from the tests are displayed right on the dashboard. 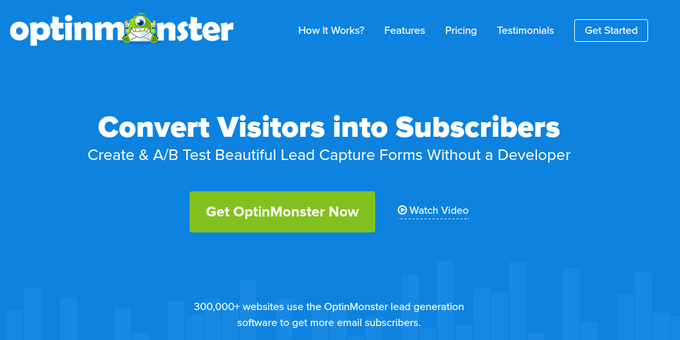 The popular 2-step optin technology is an option with Optin Monster, while you can even implement a welcome gate that takes up the entire screen to ask for email addresses. MailOptin is another great plugin that we’ve actually written a review about here. It comes with very trendy responsive design and offers multiple optin forms. All optin forms can be customized to your liking to match your design needs and it’s by far the simplest to use optin plugin we have tried to date, so if it’s the simplicity you’re after then this may as well be the right plugin for you. As for the pricing, MailOptin has a free version as well as two different paid versions – standard and PRO! See our review to find out more about MailOptin. Take a note as our ‘WPWARFARE‘ voucher code will SAVE you 15% from any of the two paid options! The Plugmatter company sells a few different types of plugins, but the most important option they have for list building is called the Optin Feature Box. It’s one of the simplest ways to improve how many people subscribe to your email lists, since you receive dozens of clean and professional templates that can be implemented within seconds. The feature box is generally inserted underneath your header using a bit of code. It’s known to grab attention and convert rather well, using both responsive and video templates for wonderful visuals. Custom designs are possible for more branding, while you can also target certain pages and posts for better marketing. Along with Google Events Tracking and call to action settings, the Optin Feature Box is one of my favorites. The Optin Skin plugin is somewhat similar to Optin Monster, but the designs vary a bit, and the pricing is slightly different. We actually like the pricing, because it’s just one price for full access to the entire plugin. It doesn’t matter how many sites you plan on using the plugin on. 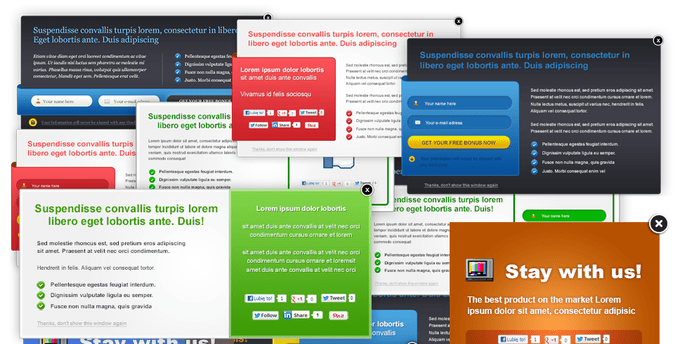 Split testing is one of the main features, which combines well with the 18 default templates. Adjusting the templates is rudimentary, seeing as how the settings have solid descriptions in the backend. Services like MailChimp and AWeber integrate with Optin Skin, while you can even make a little money by placing an affiliate link to Optin Skin underneath your forms. The one click implementation process provides a way to get forms inserted anywhere on your site, and custom designs are possible through the CSS and HTML modules. 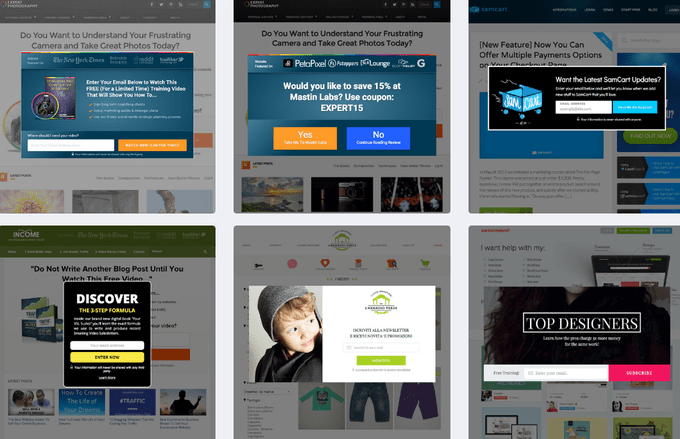 Sold through CodeCanyon, the Ninja Popups plugin combines nicely with just about every email marketing builder you can find. It has a drag and drop visual editor for those who are not familiar with coding, and 50 new popup themes are some of the more modern you can find. Eight optin panels are provided. For example, you can choose between a slide-in, popup, sidebar and more. One of the main reasons we included the Ninja Popups plugin on this list is because it comes with various animations. There bring eyes to your call to actions, and they generate a sense of creativity when people land on your site. Leadpages is a little different from the other email list building plugins we’ve discussed so far. To start, it’s primarily for developing beautiful landing pages. Sure, a landing page could simply have product information and a shopping cart, but we like to use it in combination with the Leadpages email collection tools. 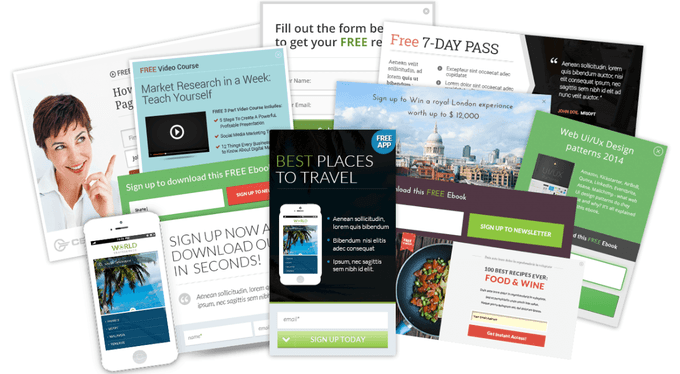 Basically, the Leadpages system lets you choose from a large library of landing page templates, where you can then implement lead capture popups, mobile optin codes and one-click signup links. Each of the templates are responsive for mobile viewing, and there is no coding needed at all. You can add any of these pages to your site and jump back to your dashboard for reports on the effectiveness of the system. OptimizePress is what one might call a whole suite of list building tools. It’s a little pricier than most other plugins on the list, but that’s because you get far more features. For example, it lets you create high converting landing pages, sales pages and marketing sites. 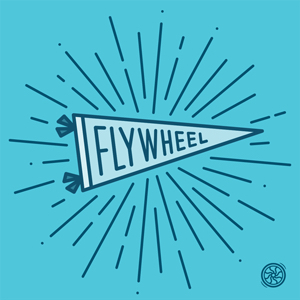 Make a secure membership portal, and develop product launch funnels. Authority blogs are a huge part of the OptimizePress platform, while free training and course pages come in handy for selling your own classes. Oh yea, and it has webinar registration pages. How do any of these help you out with email list building? Well, each of the pages I just mentioned include email collection tools, generating an entire infrastructure of email marketing components. If you haven’t checked out SumoMe, we recommend you download it. Why? 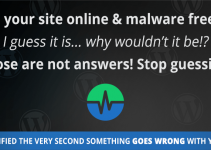 Because chances are you’ll find something in the package that works for your website. When you place the free plugin on your website it offers a large library of tools that are meant to boost traffic towards your site. You can implement all of them or just one of them if you want. The list builder option has shown to improve conversions by around 20%, while the welcome mat is a free solution for a full screen email collector. Heat maps are provided for real time tracking, and this goes along well with the Google Analytics integration. The scroll box is considered a more polite way to get emails from people, considering it only comes up after someone scrolls to a certain point on your page. We could talk about all of the elements provided, but we recommend just downloading the plugin and seeing what it can do for you. Although this is one of my least favorites, I still like it because the templates are really nice, and the support team is rather helpful. That said, some of the features include page specific popups, force subscribes and super fast loading. The responsive designs are useful since so many people are utilizing mobile devices, while the entry and exit popups convince users to stick around or give up their email address. A/B testing and analytics are offered in the dashboard, and the tried and tested designs are completely customizable for your branding needs. Which of the list building plugins for WordPress should you go for? If you’re looking for a full suite with additional tools besides list building, go for SumoMe or OptimizePress. Optin Skin and Optin Monster are nice for beginners. However, Thrive Leads and Plugmatter are still my favorites in terms of template design, testing and customization. If you have any experience with any of these plugins, feel free to tell us about it below. 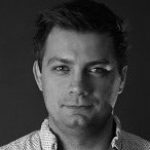 Joe Warnimont is a freelance tech writer who enjoys playing around with WordPress and his personal Write With Warnimont blog. When not testing new apps and gadgets, he’s brushing up on his German or riding his bike in Chicago. Great list of plugins here Joe. I’m sure they all are good in some way but I’ve been using Thrive leads for a few month and I’m loving it. Especially for beginners, it makes A/B testing a walk in the park. I am also using SumoMe and really find it cool. So far it working perfect. I also used to use SumoMe but then moved to Thrive leads and it’s been awesome! It’s my favorite list building plugin now. I think SumoMe and WP Subscribe Pro are worth trying out. I have been looking for a cheap email list building company I can use for my business blog. I think I should try any of them. But do they work the same way as theme for my blog? Pretty neat recommendations! I have not tried any of those but was curious about SumoMe and Leadpages. We’ll try them out soon! I am amazed at the page loading speed of WPfare. Are you sing any plugin? While I tried to open this article, it opened superfast. Can you help me with some speed page loading tips? And what is that plugin you are using which shows more posts when the reader finishes 50-60 percent of the content? Coming to this article, my personal favorite is Thrive. Have you checked it yet? Hi Sanjib, the plugin used for related posts within content is Inline Related Posts. Thanks for your nice article on 10 Best List Building Plugins for WordPress To Grow Your Email List Faster. List building is essential for any business oriented site. I Hope your guideline will help users to build a rich list. 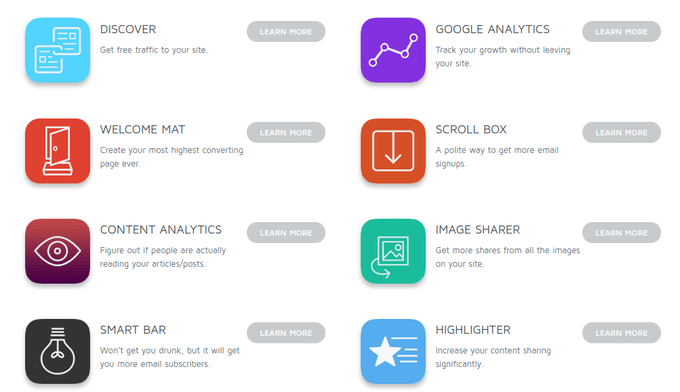 Nice list you shared here, these plugins do the work easy to reach your targets. Thanks for this list. Great article thanks for sharing. Personally I use thrive product. Keep sharing!